Social media is a difficult thing for many small-mid market B2B companies. As popular as social media has become in the marketing mix, many companies still have not taken the plunge. They argue that B2B companies just don’t get the same benefits from social media as their B2C counterparts. And that may be true for some platforms but it is not the case for LinkedIn. LinkedIn was created as a social network for business professionals. It is meant to be a way for people to interact with their professional connections. It also provides a place for professionals to stay informed on industry news and has become a great place for B2B marketers to generate leads. According to HubSpot’s State of Inbound, 43% of marketers have found a new customer through LinkedIn. If you’ve adopted an inbound marketing approach, using LinkedIn to promote your content may help improve your results. Here are some things to help you get started. According to most studies, posting something to LinkedIn everyday will increase engagement. You only have to post once a day Monday-Friday to see results. If you’re a HubSpot user, you can use the social media tools to schedule your posts or if you’re not using HubSpot, a tool like Hootsuite can also be very helpful. Here are some things to keep in mind when creating your posts. Keep your link titles to less than 70 characters. Post early in the morning for the best engagement. Keep your link descriptions to 250 characters or less. Including links in your updates increases engagement. According to the infographic from QuickSprout below, including a link can increase engagement by 200%! Also according to the QuickSprout infographic, include images and videos. 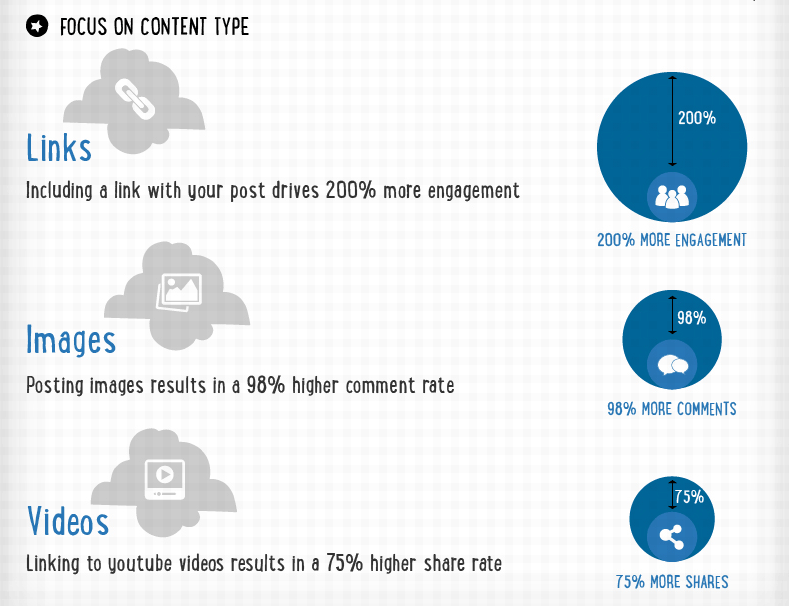 You will get 75% more shares if you include video and 98% more comments with an image. Wayne Breitbarth, author of The Power Formula for LinkedIn Success, says that in order to get the most out of LinkedIn, you need to keep putting gas in the tank. By that, he means adding connections. Without gas, your car will not run. Without connections, your content has nowhere to go. It is important to be strategic about who you connect with. Your content will not resonate with just anyone. Build your connections within your industry. I suggest reading Wayne’s book to learn more about building your connections. One quick tip, make sure you personalize your invitations to connect with people. The standard message LinkedIn automatically sends can be a huge turn-off to people. Take the time to personalize the message and your connections will grow at a much faster rate. LinkedIn Groups are often underutilized and can be a great way to promote content if done ethically and well. The first thing to do is search for groups in your industry or target market. Join as many of them as you can. Once you’ve become a member, engage. There are a few guidelines about groups to keep in mind. Before promoting any content, read the group’s rules. If you decide to promote your own content, promote other people’s content just as much. Promote content once a week at the most. Some people consider once a month to be a better approach. One of the more effective ways to promote content is by adding a comment to a discussion that is directly related to your message. In your comment, include a link to your content that the audience may find helpful. Try to only include links to content in every 4-5 comments you make. LinkedIn’s publishing platform is called Pulse. Many marketers are using it to publish content. Pulse posts can get a huge amount of exposure…usually more than your own blog. 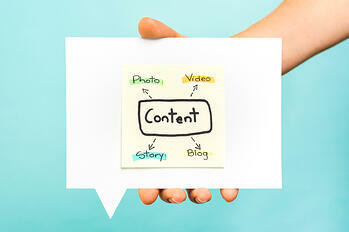 The key is to include original content here and not use the same blog posts that appear on your company site. That’s not to say you can’t use similar posts. If you have an article that has been popular on your site and you feel a larger audience would be interested, rewrite it slightly and give it a new headline before publishing it to Pulse. Search engines frown on duplicate content. LinkedIn offers the opportunity for you to sponsor a post. If you’re looking to drive traffic quickly, consider a sponsored post. It works similar to pay-per-click. Using the segmentation tools available in LinkedIn, you can choose the exact audience you would like to see a sponsored post. When someone clicks on it, you are charged a set fee. Be prepared to pay between $2-$5 per click. LinkedIn can be a great way to drive traffic to your content. Give it a try!